Students work alongside the Teen Missions staff during the Teen, Preteen, Peanut and Mustard Seed Boot Camps. Boot Camp responsibilities include—lifeguard, music team, Obstacle Course judge and/or team monitor to name a few. First-year students receive intensive evangelism training during their first summer of involvement. Based on need and capability, second year students are leaders on summer teams. 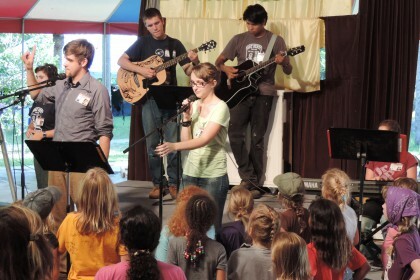 Many of the second year students have ministries with their local churches; participating in the worship band, helping with Sunday school and children’s ministry, evangelism teams, etc. There are also ministry projects the students do together in their local community in Florida.